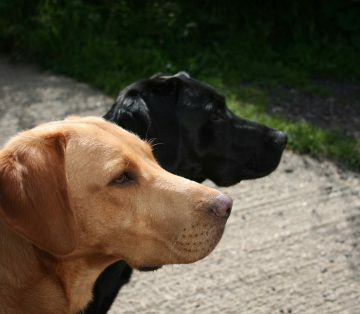 After yesterday’s wet walk I am encouraged by the better weather forecast for today. It’s not that I am deterred from walking in wet weather, though drying things out in the caravan can be a challenge, it is just far more enjoyable to walk in the dry. 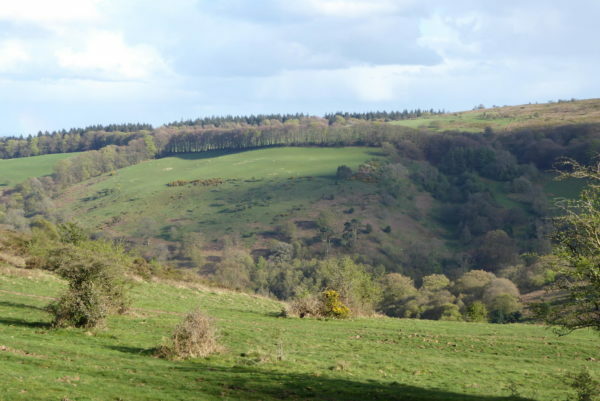 Today I am back on the Quantock Hills, my starting point is the car park just after Crowcombe Combe Gate and I walk besides the road to reach Crowcombe Combe Gate and then turn left to head southeast along the tree-lined track. The last time I walked this track was in October and the trees were full of autumnal colour, today the first spring leaves are beginning to appear. This track is known as Drove Road and has been used by farmers and traders for thousands of years. 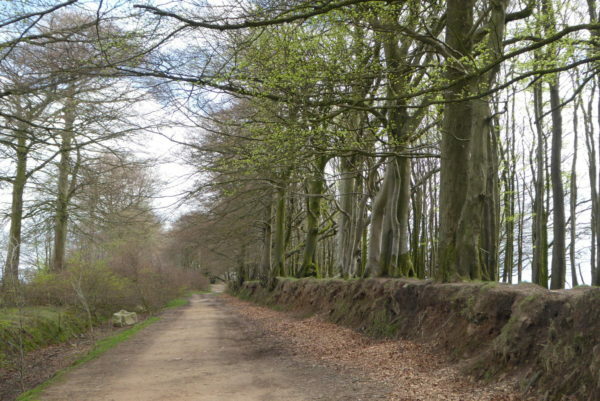 It is also known as a Harepath (a Saxon army route) recorded in the 14thcentury as the “Alferode”. At the Triscombe Stone, a Bronze Age monolith marking the route of the Drove Road, I continue straight on. I soon leave the trees to walk towards the trig point at Wills Neck. 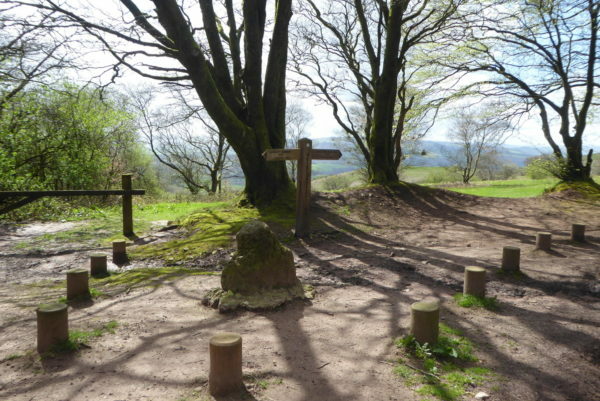 This is the highest point on the Quantock Hills and a spot I have visited a number of times in the past. There are cracking views from here. 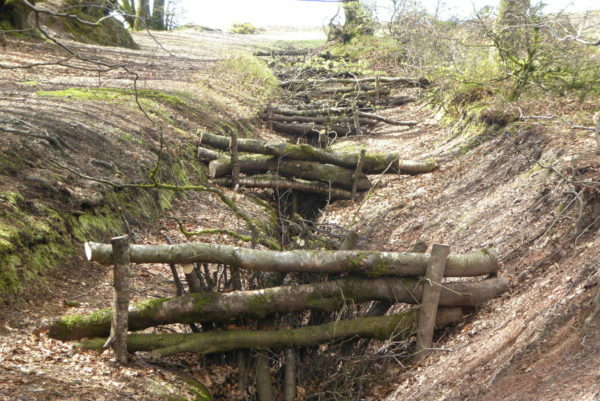 I soon reach the trees on the edge of Bagborough Plantation and spot a recently installed flood management system. 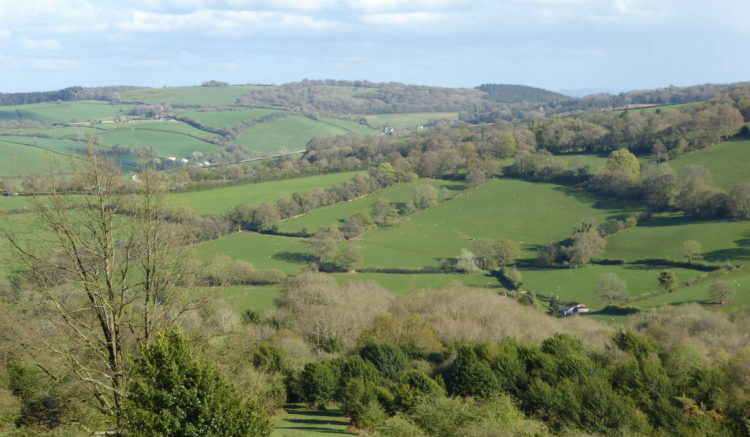 A notice explains that the intention is to slow the water flow off the Quantocks onto the Somerset levels. It seems a simple approach but hopefully it will work. After going through a gate I head across Lydiard Hill and then turn left on a footpath to head downhill. After going through a gate I enter a plantation and follow the track, at a fork taking the right option towards Luxborough Farm. The hedgerow is full of flowering wild garlic. I am now walking along a tarmac lane and at a junction turn right to head downhill into Lower Aisholt. On reaching the hamlet I go straight over the crossroads and head uphill towards Merridge. 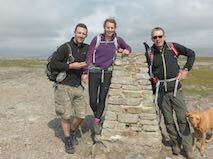 This is a steady ascent and good training for walking in the Yorkshire Dales in a few weeks time. 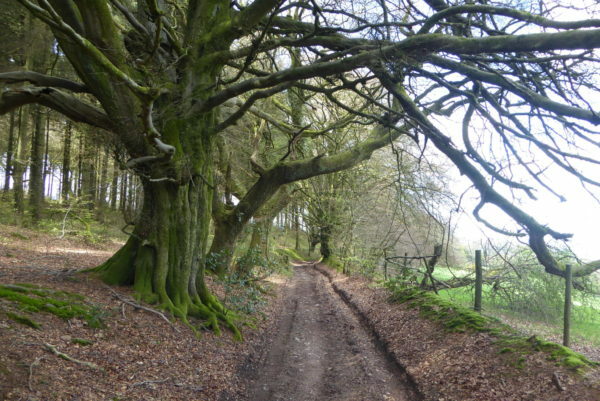 On reaching Wyches Barn I turn left along a bridleway. This is a clear route with the odd muddy section but nothing too challenging, there is woodland on my left and fields on the right. 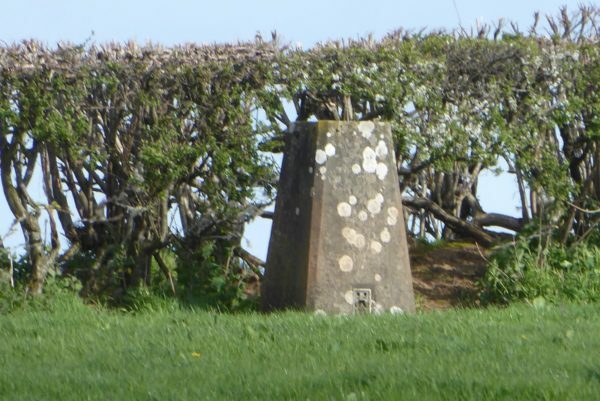 On reaching Hawkridge Wood I take a slight detour from the track following a route through the trees to get sight of the Ordnance Survey trig point on Merridge Hill, making it my 50thtrig point “bagged”. Returning to the track the path leads through a gate and descends Hawkridge Common to reach a road by Hawkridge Reservoir. 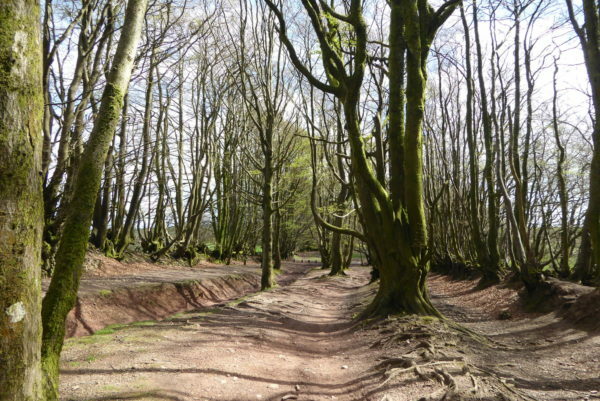 I have walked on the Quantock Hills for almost thirty years, but I have never previously been to this picturesque spot. This reservoir was built in the early 1960’s and covers an area of 32 acres and can hold up to 190 million gallons of water which is used to supply Bridgewater. I turn left and walk on the pavement alongside the road. As I walk I ponder on how water will be supplied to all the new houses built around Bridgewater (or elsewhere for that matter). 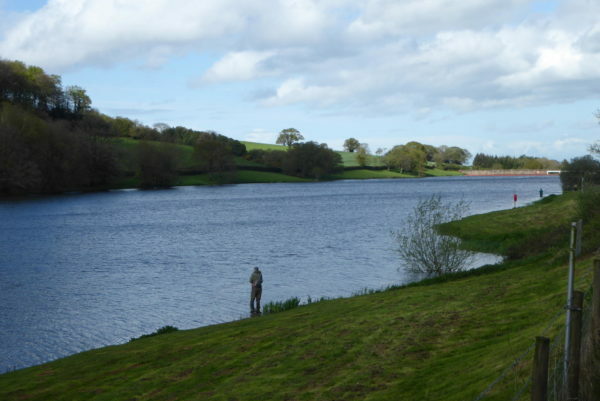 I am not aware of any new reservoirs being constructed, so how will the new demand be met? I assume someone has thought about this. At a junction I turn left to follow the road back to Lower Aisholt and then at the crossroads turn right to walk uphill to Aisholt. This is a “Thankful Village” so called because the eight men from the village who left to fight in World War I returned. 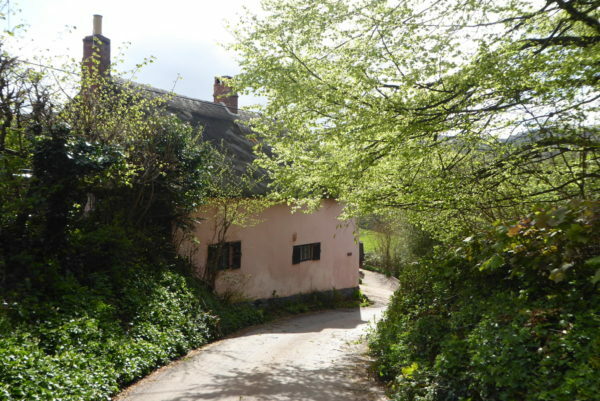 Back in 1930 thirty villages were identified as Thankful villages, but more recent research has created a list of fifty-three. 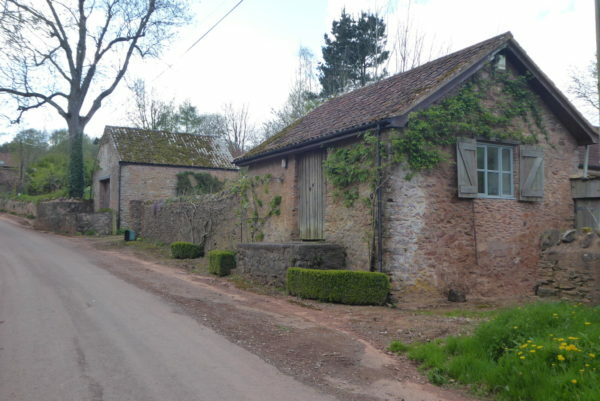 Somerset has thirteen such villages. 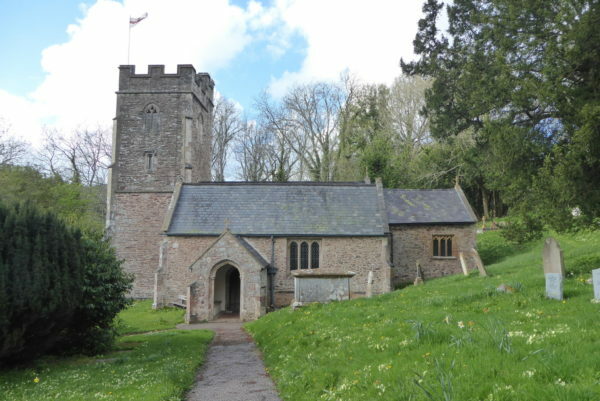 I stop briefly to look inside and around the 15thcentury All Saints Church. Apparently, the poet Samuel Coleridge described this hamlet as “that green romantic chasm”. It does have a feel of a place that time forgot. I head out of the village on the road and at the top of the hill turn left by the disused quarries. 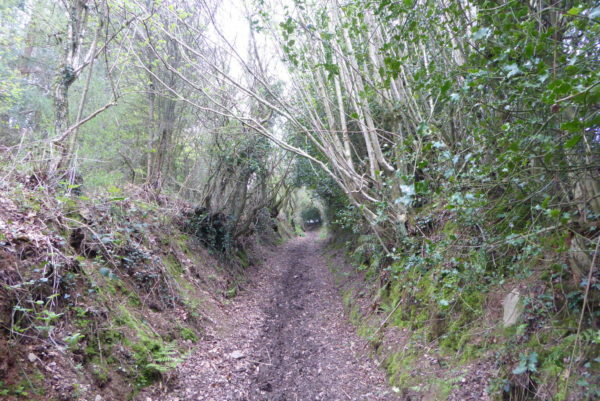 The tarmac soon ends and the track continues with trees on the right and Aisholt Common on the left. This really is a cracking spot. 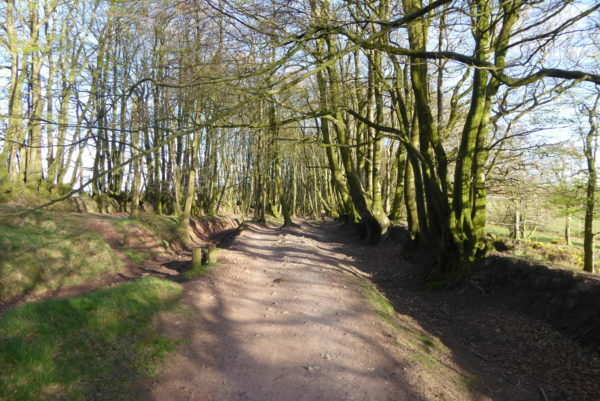 Eventually the track reaches the drove close to Triscombe Stone and I retrace my steps back to Crowcombe Gate. This has been a stunning afternoon’s walk covering twelve miles in some fantastic countryside. I know I have said it before, but I never tire of walking in these hills. 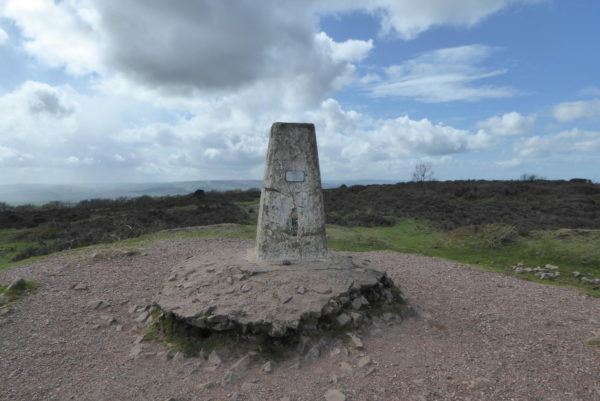 To follow this walk you will need Ordnance Survey OS Explorer 140 – Quantock Hills & Bridgwater.